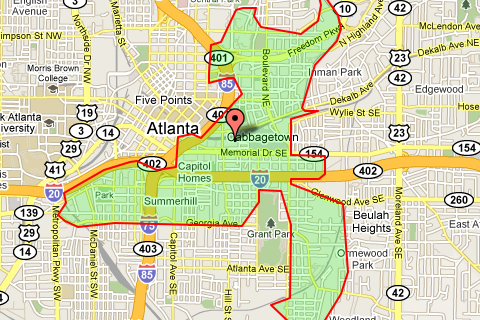 Zip code 30312 is located south of Midtown Atlanta and east of Downtown Atlanta. Zip code 30312 includes parts of Grant Park and Old Fourth Ward, as well as several condo and townhome complexes. Condos in zip code 30312 range from under $100,000 to over $500,000. Single-family homes in 30312 range from under $100,000 to over $700,000.